The end of another British Cattle Conference marks the start, for many, of the cattle breeding year, as the first spring calves to hit the ground reveal the fruits of the farmer's breeding choices. Under the chairmanship of Lucy Andrews, this year's event highlighted just how complex those choices have become. A divergence between the native British beef breeds and the continentals came to the fore; the need for technical efficiency was an overarching theme; and genomic evaluations were presented as an imminent additional choice - but one that must be made with the utmost of care. Youth was not so much a recurring theme as in evidence all around, with a strong student contingent; a fair share of youthful speakers; and some inspired and visionary entries to the student essay competition (results below), all boding well for the industry's future. We hope you enjoy this small taste of the January 2011 conference within this Club section of Cattle Breeder. Poor market signals and the safety net of subsidies have allowed inefficiencies into beef production which must now be addressed. These inefficiencies include signals from the industry's own carcase grading system which favours high input production requiring intense supervision and high levels of management skill. They also include the use of high-maintenance continental breeds which need mollycoddling, are 'financially and morally wrong' and only have a place as terminal sires. This message from Northern Ireland Hereford breeder and beef producer, William Haire, reflected his view that it was often more cost-effective to produce an R grade carcase than to chase the highest E and U grades. But he said that practical, low-cost systems had been 'beaten out of us' by a need to achieve an E or U grade regardless of the financial sense. Although there may be a £30 difference in payment, he said it could cost more than this to achieve the bonus. 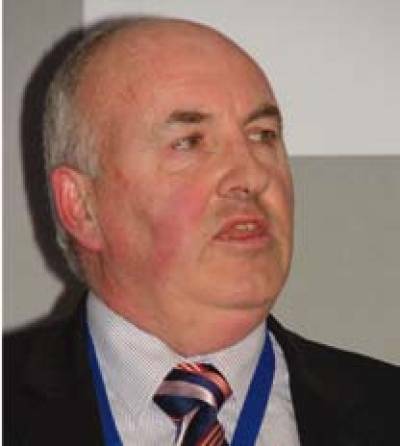 "From the E bonus you still have to account for the cost of potential caesarean, other vet costs, higher replacement rate, extended calving index, after care of cow and calf, labour, mortality, housing pressure and maybe even loss of a percentage of your Single Farm Payment for carrying out too many elective surgical births," he said. "Would a modest 10p bonus, which is a long way off what is actually achievable, on an Angus, Hereford or other beef scheme breed, not leave you as well off and save a lot of expense along the way?" Also asserting that R grade cattle were better suited to many processors' needs, he asked why they weren't paying a premium for this grade instead. "They have all the same high quality cuts in the same places as E and Us, with a lot less lower value meat to go to mince. "That is the sort of signal that could reinvigorate the national suckler herd and sort out carcass balance," he said. "It might even reduce the amount of cheap mince available undermining the rest!" However, he criticised communication through the production chain and said: "No one knows with any great authority exactly what is required beyond their immediate customer." All producers should focus on the end buyer and could no longer work on the assumption that they would 'just take whatever we produce and pay whatever we need to create a sensible return'. "We have been working on that assumption for too long and as a result have lost touch with our ultimate goal," he said. 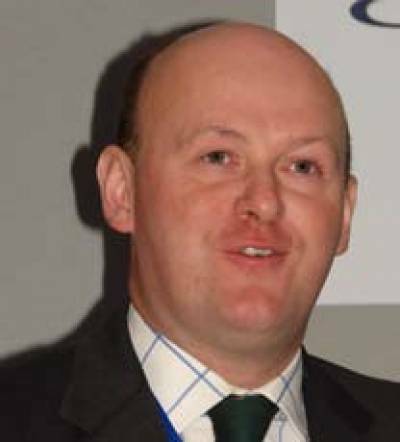 An obvious choice to improving suckler beef performance was genetic improvement which was a low cost option but was often overlooked and under-valued, said Mr Haire. It required a knowledge of a business's physical and financial performance - most importantly starting with a weigh scale on the farm - and a back flow of information from the customer. Urging every beef producer to take part in recording schemes, he said: "Many breeders believe there is no reward, but the reward is the extra performance achieved by knowing and not hoping you are using genetically superior stock. "In the 21st century beef industry, basing decisions on what the 'bloke down the pub' said is not a sound basis on which to shape the farm's systems." However, progressive farmers would use EBVs (Estimated Breeding Values) and the rest would go out of business, as there would be 'no room left for them'. But with the right systems in place, Mr Haire said he was 'very positive about the future of suckler cows in the UK, but not as we see them in 2011'. "So, we have to get our houses in order and look at what needs to change and what we need to do to ensure we are still producing food long after subsidies have gone," he said. Commenting on the introduction of VIA (Video Imaging Analysis) into Northern Ireland in January 2011, he said he was looking forward to the many benefits it would bring over manual grading and the EUROP system. Having flagship cow families in your herd is key to making money from pedigree cattle according to Holstein breeder Andrew Jones, who is known for the regularity of livestock sales he holds from his Rossett herd in Wrexham, North Wales. "Unless you have the flagship families to pull buyers in, they won't come to your farm," said Mr Jones. Acquiring the big-name families need not be expensive, and buying older animals which were 'off the pace' or even buying in partnership with another breeder, could limit the financial outlay, said Mr Jones. Using the example of Rockset Integrity Rachel 5 EX90, he said she was purchased for £850 when carrying her fourth calf in 2006, and 'produced eggs like a chicken'. Used in an embryo transfer programme for the following three years, some 90 of her embryos were subsequently sold and she now had 34 registered progeny carrying 14 different herd prefixes. She was then sold in 2010 for £650. Although acknowledging 'it doesn't always happen like this', he said: "That's an investment even Alan Sugar would be impressed with." Advising delegates that 'nothing is too good to sell', he said that a fifth lactation cow could be worth just £300 before long, rather than the several thousand she could command at that age. "If you've got a good cow and she is still in your barn after five lactations, you may well have missed an opportunity," he said. "And if you are doing your job properly, the next good one is in the heifer shed." Describing himself as a 'farmer with a fetish about cows', he said there was no job in the world he could have enjoyed as much and that no one should do anything they didn't enjoy as they 'wouldn't be any good at it'. And offering some further lessons for life, he said his children were keen members of Holstein Young Breeders where they acquired important life skills. "Life is a competition and the more skill they can learn in a rehearsal situation like that the better they are equipped for later life." Concluding that there were people in life who made things happen and people in life who let things happen, he advised delegates to 'be in the right category'. Focussing on what he could do best on his farm has been a key driver to some radical changes involving breeds and systems, said upland beef farmer, Nick Davis from Llandrindod Wells. These changes included scrapping TMR feeding in favour of big bale silage, selling stores instead of finished cattle, tightening calving interval to an average 358 days, improving grazing efficiency and reducing the housing period by around six weeks. A renewed focus on finding 'ways to make money and not spend money', had also seen the herd heading from 76 suckler cows, to bulling 130 head (including heifers) last season, with the aim of settling at a head-count of 110-120. The catalyst for change for Mr Davis - who is Farmers Guardian and National Beef Association 'Beef Stockman of the Future' - was his Nuffield Scholarship in which he studied 'Suckler cow production in upland areas' and travelled to Australia and New Zealand. Although recognising the different scale and climate of his own 280ha mid-Wales farm, he was immediately awakened to the need to become a better grassland farmer; to spread fixed costs through scale; and achieve a saleable calf from every cow he had. Apart from lost ear tags, there is hardly any aspect of improving suckler cow management and performance that can not be linked back to grass production," said Mr Davis. Having moved from a Hereford x Holstein Friesian suckler cow which was crossed with a Limousin, he now breeds all his own replacements based on Welsh Black and Angus. We wanted the Angus for their easy calving but we wanted Welsh Black as they were hardier again - with deep bodies and thick coats - which allowed us to extend the grazing season into a wet autumn. "But it was not until I started shutting up fields in late summer specifically for cattle that this really worked," he said. Cell grazing this in half hectare blocks meant there was no need for silage or hay in feeders, heaps could be placed on a fresh site every day and cattle would be moved on before they made any mess. Commenting that the cost of housing was five times that of keeping cattle outside, he said that his new grazing practices had helped reduce the housing period from 210 to 150 days. But there was no single action that had allowed his family farm to move forward but rather a combination of many and a keen attention to detail. And there was no point in worrying about things outside your control - which for most farmers included price - but far better to focus on performance and costs of production. "Increasing the efficiency of every cow in your herd will have a greater impact on profitability than small fluctuations in market price," said Mr Davis. If British cattle breeders want meaningful genomic evaluations, there has to be collaboration and co-operation at every stage of the process. This begins with the most basic of requirements to record sire identities in all passports sent to BCMS. It also requires collaboration at genomics company, AI company, breed society and recording organisation level, both within the UK and across international borders. This message was hammered home by a succession of speakers at the conference, from the UK, the Netherlands and the USA, whose experience with genomics increasingly showed that high numbers of animals were required for meaningful and ongoing genomic analysis. This meant that no single country - not even the USA - could continue to work in isolation on genomic evaluations. Dorian Garrick, Professor of animal breeding and genetics at Iowa State University, described the hurdles he'd had to overcome as he tried to establish a framework for genotyping beef cattle in the United States, which he knew would require a large 'reference' or 'training' population of several thousand animals per breed. "I went to breed associations in the USA and they said they had no money. I spoke to AI companies and they said 'ask the breeders'. I went to genotyping companies and they said they just sold chips [a means of measuring genetic variation] and recommended I asked the bull breeders. They sent me to the bull buyers and they suggested a levy on each kg of beef. "We would still be in this position if some companies had not identified an investment opportunity to develop a key [which translates an animal's genotype and presents it as a genetic index] that farmers would pay for," said Prof Garrick. The two companies which did this were Pfizer and Merial, with each company separately developing prediction equations (or SNP-keys), which would translate the information provided by the genotyping company (Illumina). And although both Pfizer and Merial market their beef genotyping service through the American Angus Association, commercial interests are curtailing the wider industry benefits this process could offer. "The problem is that only the Angus Association knows each animal's phenotype, and only Pfizer or Merial know the genotype, and although they supply the estimated genomic values back to the breed association, they never reveal each animal's SNP," said Prof Garrick. This situation means that information on genomically evaluated animals cannot be fed back into the reference population, which is an essential part of making the process work. Without this feedback, genomic evaluations - which need constant recalibration - will get poorer over time. The dairy industry in the USA, however, is better funded and organised and has the benefit (from a genomic prediction perspective) of being focussed around the one, dominant Holstein breed. Seven AI companies collaborate over genomic evaluations, benefiting from technical input from the US Department of Agriculture, who have developed their SNP-key and made genomic PTAs (Predicted Transmitting Abilities) on cows available to the industry. "The foundation genotyping data was paid for by the seven AI companies, so the USDA has agreed to provide the genomic PTAs on bulls only to these companies," said Prof Garrick. And although this means that an individual farmer cannot currently obtain a genomic evaluation for his own bull (although he can for a heifer), he may be able to do so through an AI company which is interested in the bull's genetics. But the farming industry as a whole will benefit, as everyone will have access to the AI sires' genomic evaluations. "The message from the American experience to the UK is that you can't expect someone else to fund all the data collection and genotyping," said Prof Garrick. "The returns are not there, especially for minor breeds. But if work is done locally and swapped and shared internationally, the outcome will improve and the whole industry will benefit. "In the UK you have DairyCo trying to share this information, and because you now have the high density chip, which other countries are interested in, you have good bargaining power for exchanging genotypes," he said. Marco Winters from DairyCo - which has been appointed to lead the drive to create a UK reference population and develop a UK SNP-key - concurred and said that both government and industry funding were supporting this process at Scottish Agricultural Colleges, where this year over 1,000 bulls were being genotyped with the high density chip. "These genotypes will be used for research and genetic evaluations, and it gives us a strong bargaining position as we are currently unique in having so many bulls evaluated with the HD chip," said Mr Winters. "However, we can't escape the fact that there is considerable commercial investment involved as not only do we have data supplied by the milk recording organisations and herdbooks, but we also have considerable investment by the AI companies. No one will want to give up their intellectual property for nothing. "It's clearly a difficult period as we embark on applying this new technology, and we must learn from the US experience to get the best outcome for farming as a whole. "We have to work out some rules to make sure we don't make the same mistakes as the United States made in the beef sector. We don't want breeders paying for genotyping that does not contribute to ongoing improvement of the key. "We need to arrive at a practical means of working together as an industry for the benefit of every breeder but if we agree that every party has something to offer, I'm confident we can make it work." Despite Mr Winters' optimism, the prospects for UK beef are less clear, with far more breeds involved and a less cohesive industry. However, Mike Coffey, who chaired a pre-conference workshop on the implementation of genomics and leads the team which carries out genetic evaluations on behalf of the dairy and beef industries at SAC, insisted the UK was making good progress behind the scenes. "The dairy industry is better organised and already has a consortium working on genotyping. We need to establish something similar for beef which needs collaboration across the whole industry and with international partners. "A week ago we submitted a bid to use VIA [Video Imaging Analysis] carcase traits for genetic evaluations and to secure this research would be a big step forward as abattoir traits are a great source of phenotypes," said Dr Coffey. But completing the session with a plea, he urged every farmer, both beef and dairy, to record each animal's sire when they submitted its passport to BCMS as without this basic information, too much material would be lost from any genetic evaluations. Mary Mead, Somerset dairy farmer, Yeo Valley co-founder and former BBC Farmer of the Year, expressed concern about the speed at which genomics could change the national dairy herd. "This is one great experiment," she said. "We are racing at a speed we never have before and it could all go terribly wrong. Alarm bells are ringing amongst dairy farmers." Referring to the geneticists who are developing and applying genomics, she said: "Who are you people who have never had to run dairy farms at a profit?" Dorian Garrick, Professor of animal breeding and genetics at Iowa State University said the whole industry should take ownership of the technology. "The scientists have provided the prediction information; the AI companies have decided how to market the bulls; and the farmers have chosen which ones they will use." Mike Coffey from SAC said: "Speed is both a threat and an opportunity. If we are confident in our direction - and choose traits such as fertility and lifespan - we now have the tools to get there quicker." 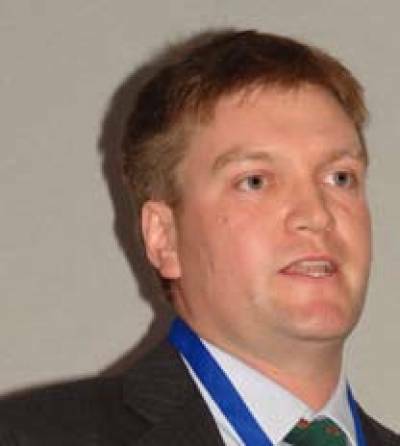 Marco Winters from DairyCo said: "I agree we may have gone wrong in the past and perhaps overstepped the mark in terms of breeding for milk production. But genomics allows us to expand our breeding goals, and turn a threat into an opportunity. What is relevant is which breeding direction we choose and how we apply the technology." Roel Veerkamp from the Animal Breeding and Genomics Centre in Wageningen, the Netherlands, said: "Genomics is not magic. It still only provides an estimated breeding value; in dairy cattle it's only 60-70 per cent reliable and all the technology is at the developmental stage. We have only been doing it for two years in the Netherlands." Marj Faust from ABS Genus and a board member for the National Association of Animal Breeders which is driving the technology forward in the USA, said that the reliability of the genomically enhanced evaluation was dependent on the sire and dam reliability and whether the animal was assessed with the 3k, 54k or high density chip. If the latter, reliability could be as high as 74%. Mark Roberts, a committee member of the British Cattle Breeders Club, asked why the UK industry couldn't provide a list of genomically evaluated bulls. "That's what farmers are attempting to put together themselves," he said. "Why can't it be formalised?" Marco Winters said that a UK list was planned for later in 2011. Until that time, DairyCo provided a conversion formula which most other countries did not. It came with a certain amount of warning as reliabilities were inevitably low. This would be improved significantly once the UK had its own calibration equation or SNP-key, which should allow genomic evaluations to be published for the UK in August 2011. Mike Coffey urged farmers to ask their AI companies to use the conversion formula and express genomic indexes on a UK base, until the list was formalised. "We are in a similar position to 20 years ago when conversion formulae for conventional bull proofs began. The formulae were not very good until enough bulls came through and contributed to their calculation." Lucy Andrews from Holstein UK and conference chairman said there were also the logistics and cost to be considered of obtaining the file from the USA. "Why should DairyCo money be spent on getting a system up and running that will only last until August," she said. Mike Coffey said more recording rather than less would be required for the best application of genomics. "This doesn't mean more people need to milk record. It means better recording of fertility and health traits, and where possible, the automatic capture of this information." Roel Veerkamp said the RobustMilk project, which was a European collaboration, was seeking to use genomic tools help breed for both robustness and milk quality. This included in particular, the fatty acid composition of milk. In effect, the SNP-key or calibration equation says 'a genotype like this is associated with a phenotype like that'. Once you have an initial key, it needs constant improvement and recalibration as more animals come into the reference population. Reference or training populations (whose actual performance and genotype are compared to establish relationships between the two and from which a SNP-key is devised) should comprise at least 1,000 reliably proven bulls of one breed. However, it is better to have 4,000 bulls and ideal to have 10,000 or more. This would mean all sires in a breed being in the training population. This is one of the main reasons international collaboration is so important. It's a numbers game! In the United States, genomic evaluations using only SNP data undertaken in the Hereford breed initially proved to be a slightly less reliable predictor than the Pedigree Index (parent average) information. This was because there were only 800 animals in the training population, when ideally, there should have been several thousand. However, blending the genomic evaluation and the Pedigree Index produces the most reliable prediction of merit of young animals. If animals are assessed with the high density chip, more information about their genotype is learnt. It is possible that the HD-chip will help the beef sector in particular, by allowing information across several breeds to be pooled. This could overcome the problem of finding large reference populations within each breed. Beef and dairy exports are leading Ireland out of recession and playing a key role in changing the perception of farming in the Republic. Already dairy exports have increased by 17 per cent and beef by eight per cent (2010 over 2009), helping the country reach its highest ever level of exports, with agri-exports alone now worth €8 billion. This message from Justin McCarthy, chief livestock editor from Irish Farmers Journal, brought a salutary message to the mostly British delegates at the conference who heard how farming was driving the recovery and held a new place in the affections of the Irish public and politicians. "I have sat through budget speeches when agriculture has not even been mentioned," said Mr McCarthy. But now the realisation of its importance ensured it was referred to within the first three minutes. Explaining how Ireland produced enough beef to feed 30 million people, he said that 90% of production was exported. Some 98% of exports stayed within the EU and the UK was by far the biggest importer, taking over 50 percent. "We are the fourth largest beef exporter in the world," said Mr McCarthy. "We're a big player in the global beef market." However, dairy would be an even bigger driver towards economic recovery, with the country's herd predicted to increase to 1.35 million cows by 2020, while output would rise by 50 per cent. Ireland stood third or fourth as a dairy exporter internationally and was said to be 'one of the most efficient producers'. "Our secret weapon is no secret," said Mr McCarthy, referring to 'grass and not grain' as the driver of this production. Arguing that high cereal prices were good for cattle farming in Ireland, he said that to a certain extent this was true for the UK. He said the USA was no longer a low-cost beef producer, while Argentina - formerly the largest beef producer in the world - had moved much of its production from the pampas and into feed lots, and was no longer a cheap alternative. "We also compete with pig and poultry and their prices will soar," he said. But cattle farmers had to be efficient or they would not reap the benefits, and beef producers were urged to limit liveweight gain from cereals to around 20 per cent. He said too many Irish breeders were focussed on show ring breeding; 30 months was too old for finished beef; and genetic improvement and technical efficiency were essential to the process - factors which applied equally to the UK. Commenting on Mr McCarthy's presentation, Rob Wills, UK livestock exporter and last year's conference chairman, urged delegates to be aware of the scope of their closest competition. Treating cows as individuals is at the heart of the strategy in Nigel Lok's herd in Tsitsikamma, South Africa. And with 700 milking Holsteins, the route to individual treatment comes through technology, automation and close attention to detail. It also rules out the use of both a TMR or pasture-based system. Having opted for an intensive route, the herd produces 45% more fat-corrected milk (FCM) than the district average; feeds 30% less concentrates per kg FCM; uses 30% less nitrogen; has a calving interval of 375 days; average age at first calving of 23.5 months; and average body condition at calving of 3.45. Such precision is achieved by regularly monitoring a variety of parameters, from the weight and condition of dry and milking cattle to the in-line measurement of milk, using AfiMilk's AfiLab (Crysta Lab milk analyser in the UK). This enables its fat, protein, lactose, cell count and conductivity to be measured as a routine, and gives an early warning of mastitis and metabolic disorders, such as ketosis and acidosis. Heifer rearing is designed to meet strict targets, for as Mr Lok explains: "A 100kg heavier heifer at calving gives 1,000kg more FCM in the first lactation and 2,300kg more in the second and third lactations." To this end, roughage is restricted until six months of age and a high protein diet is fed to heifers to encourage skeletal growth. Dry cow weight is also closely monitored, with the dry off weight targeted to match the post partum weight. "They should gain 60kg in the last 55 days before calving," says Mr Lok, who increases and adjusts the mineral intake and feeds more energy through the addition of fat to the ration at this stage. This is said to have a 'dramatic effect' on milk fever and metritis, and paves the way for a gradual build-up - rather than a sudden introduction - of concentrates after calving. Condition scoring is an important part of individual cow management, and even dry cows close to calving join the milking herd in the rotary parlour every two weeks, where they are weighed and condition scored. The milking herd ration is adjusted for each individual according to weight, height and ideal lactation curve, giving a precision to the feeding which would be difficult to achieve in most smaller herds. It was only a matter of moments into the 'Any Questions' panel discussion on the evening of the Club's annual dinner, that the government's 'light touch' approach to industry regulation on a variety of farming issues was raised - and became a recurring theme. The three panellists were Katrina Williams, Defra director general (food and farming); Christianne Glossop, chief veterinary officer, Welsh Assembly; and Justin McCarthy, chief livestock editor at the Irish Farmers Journal. Katrina Williams said: "It's not for government to tell the sector what it should be doing; it's for the sector to tell government what it wants to be doing and maybe get some help for it - which may mean [government] getting out of the way. Regulation seems to be an unwieldy beast and one that requires you to go into enforcement. To stop regulating and do things in a lighter touch way is all about trusting people. Now is the time to step back a bit." Christianne Glossop said there were some situations in which government should take the lead and some in which it should hand the lead to industry, and that the government was still in the process of defining its roles and responsibilities. "We want to support where we can and step back when that's appropriate. There are some really good examples of eradication programmes that have in no way been organised by government," she said, citing Aujeszky's in the pig industry. Justin McCarthy said there was a big difference between regulation and facilitation but the Department of Agriculture had a 'duty of care' to farmers. Dr Glossop favoured spending government money on the 'big ticket' items, and believed that spreading resources too thinly and working with several diseases at once made it difficult to achieve success. "I look with envy on Scotland as they can focus on BVD because they don't have TB," she said. "Don't under-estimate the power of the industry when it works together," added Dr Williams, alluding to Blue Tongue. "You can get to the situation where it's better not to have legislation coming in," she added, suggesting a better role may be to bring purchasing power to buy vaccine. Justin McCarthy said disease control had to be carried out on the same basis across the entire British Isles. "It's quite simple to get rid of, provided everyone does it," he said, referring in particular to BVD. Dr Glossop said England, Scotland and Wales were bound together by one strategy for health and welfare but each could develop its own policies. "The policy Wales is developing for TB I believe is encouraging other countries," she said. Dr Williams said: "If anyone thinks we don't work together they are wrong. We work together all the time. I see no problem with different approaches as long as we understand why they are different and have married them up." Dr Williams said TB was one of the most difficult issues ministers had had to face and added: "It's complex because you only get one shot at it and if that shot is wrong you stand to lose an awful lot as an industry and as a government." Adding that the government's consultation on badger control in England had recently closed, she observed there had been an exceptional 53,000 responses of which 78% were against control. Dr Glossop said that every source of infection had to be dealt with and added: "As far as I am concerned, if they are infected, they need to be slaughtered." 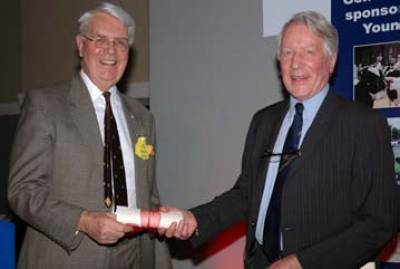 Henry Lewis (Club president, 2005-2011) was awarded honorary life membership of the Club during the conference, and is only the second member in the organisation's 64 year history to do so. Henry has been involved with the Club for many years, stepped into the role of chairman in 2000 (taking on the challenge of organising the conference part way through the year) and subsequently served two consecutive terms as president. His untiring commitment to the Club has been instrumental in the recent success of the conference, as it has grown year on year; and his professionalism and ambassadorship for British genetics is admired throughout the international livestock industry.